I don;t do well with homemade pies, either. 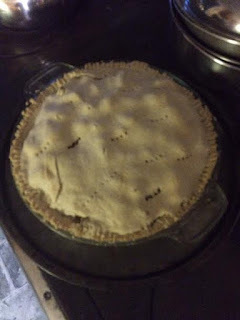 My sister makes an amazing apple pie & I have tried her recipe, but it's just not the same. That Christmas village is so pretty. I had rather have a slice of pie than a piece of cake any day. I love pies! 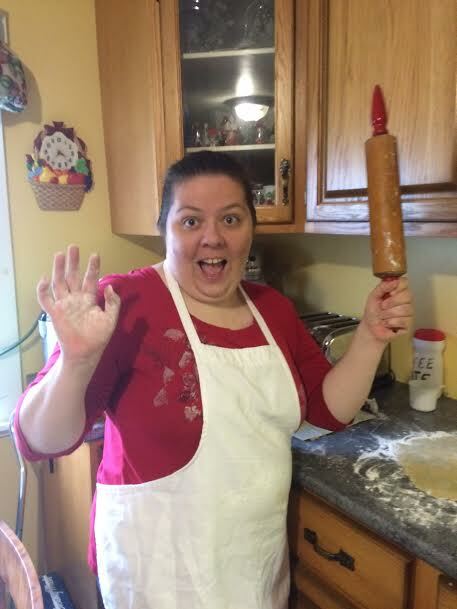 Wish I had someone to really really teach me to bake pies! Good for you - and glad the banquet was nice! Sounds like an awesome weekend. Your church banquet looks really pretty! And I'm jealous of your relaxation on Saturday! Sounds like you had my version of a great weekend. Cleaning, cooking, and relaxing with your favorite people. Looking forward to Thanksgiving break! That's a really good weekend. I think cleaning is something that is like therapy for me, lol. It really is rewarding to see and have a clean house. Looks like you guys had fun making pies! And you also looked awesome during that Banquet! That banquet looked really nice! I'm glad you got to spend some time with family! I'm looking for a good planner, which one did you get? 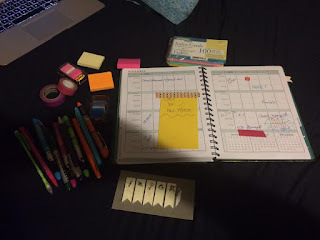 I'm thinking about getting into planners too--like I really need another hobby! we will be in pie making mode all day tomorrow. 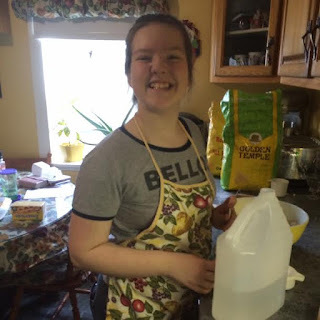 I love to bake with my kids too! 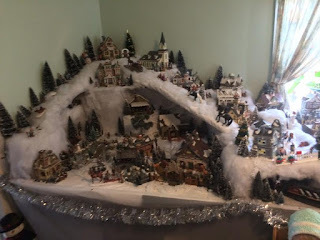 That Christmas village is AMAZING! It's so detailed and beautiful! 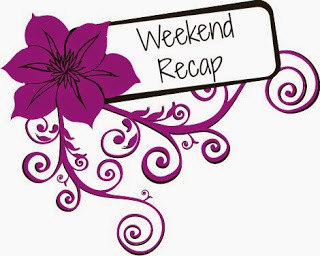 You had a great and fun Weekend! 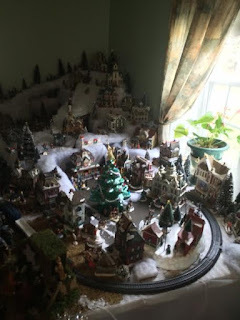 I love the Christmas Village, it looks like a real snow. What a fun weekend. I am not good at making pies, either. I can do them, but I always struggle with the pie crust. Sounds like a pretty nice weekend. We've had something going on every weekend it seems and things have been crazy. I'm looking forward to some time to relax. Sounds and looks like you had a really good weekend, the pictures are amazingly good. 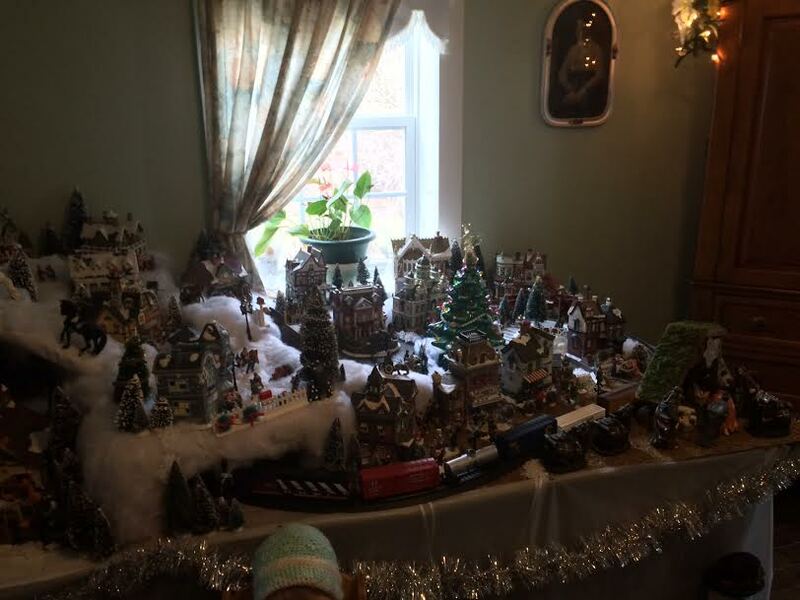 What an amazing Christmas village, I am seriously wanting one myself. Love weekends just to chill is my ideal thing to do. I love the Christmas village. I love homemade pie. It doesn't have to look good, just taste good! I do use a planner! I would very lost with out it. That Christmas village looks awesome! I've never seen one so detailed!